Adore Animals have published a beautiful coffee table book on the benefits that animals have for children. The book is called Moments of Connection, and for a short time all profits from sales of the book will be donated to Australian Anthrozoology Research Foundation (AARF). 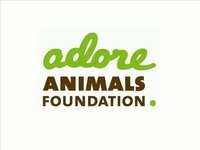 AARF are delighted to be partnering with Adore Animals on this promotion, and are very appreciative of their support. Moments of Connection is the perfect gift for animal lovers, parents, grand-parents or maybe for your pet-related business waiting room. $30.25 (inc. GST) gets you TWO copies plus some great bonus offers for a furry friend, and includes postage. It’s a great offer and all profits support AARF. Right now Adore Animals have a fantastic deal on this beautiful coffee table book. Click here to take advantage of this promotion while it lasts!